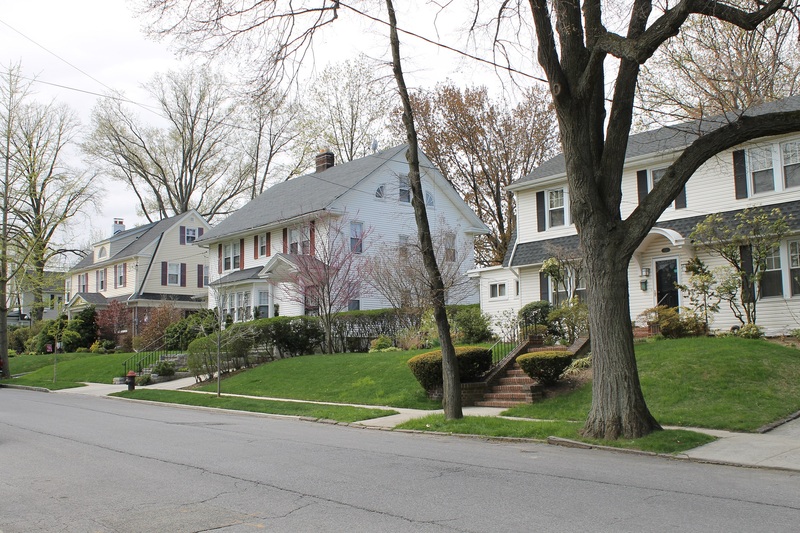 Many of the homes in Broadway-Flushing were developed by Rickert-Finlay Realty Company in the early 20th century. The developers attached restrictive deeds to the houses requiring peaked roofs and banning front yard fences. The Broadway-Homeowners Association and officials are continuing the push to designate the area as a New York City Landmark Historic District with a letter imploring the Landmark Preservation Commission (LPC) to add it to the public hearing calendar for consideration. The letter was signed by politicians at the federal, state and local level, many of whom have previously been vocal about their support of the cause. Borough President Melinda Katz, Congresswoman Grace Meng, state Senator Tony Avella, Assemblyman Ron Kim, Assemblyman Edward Braunstein, City Councilmen Paul Vallone and Peter Koo, joined members of Community Board in signing the request. The letter states that the area has seen increased rate of change in the past year and that the neighborhood will be irrevocably changed if action is not taken immediately. “It is critical for this to stop now and start the landmarking process in Broadway Flushing before any more of our neighborhood is compromised,” the missive read. The area is already listed on the national and state landmark registers, but to ensure the most protection against new development the group has been applying since 2007 to be recognized as a city landmark. After the previous attempts to get the neighborhood recognized by the commission were ultimately unsuccessful, the community renewed efforts to landmark the neighborhood following a change in leadership at the LPC last year. Janet McCreesh, immediate past president of the Broadway-Flushing Homeowner’s Association, said that the group has done everything in its power to push for landmark status. She felt that along with the LPC, the mayor should also be responsible for the preservation of the community. Broadway-Flushing Homeowners Association President Robert Hanophy declined to comment, deferring to McCreesh’s efforts as one of the major organizing factors behind the push for landmark status. The area is mostly occupied by single-family homes and was developed at the turn of the 20th century by the Rickert-Finlay Realty Co. — who added restrictive covenants to each property deed forbidding certain changes from being made to the structures. The group keeps the cause alive by holding rallies on the initiative and frequently using social media to call attention to houses that have been sold or are set to be torn down in the area. The next rally will take place on Jan. 16 at 11 a.m., in front of a house at 33-05 157th St. that is set to be demolished.